At the Santa Ana law office of Smaili & Associates, P.C. we handle all types of employment and wage related cases such as backpay collection and overtime pay collection. Our team of wage and hour lawyers primarily focus their attention on discrimination, sexual harassment, retaliation, overtime, minimum wage, and unpaid commission cases. The Santa Ana employment law attorneys at Smaili & Associates P.C. 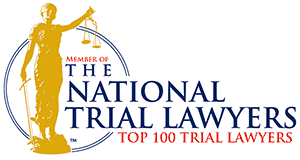 are skilled trial attorneys. While many employment law cases culminate via settlement we are more than willing to take your case to trial if a fair and just settlement cannot be agreed upon. Can I File an Overtime or Wage and Hour Lawsuit In Orange County? Most laws regarding overtime pay and wage collection are governed by The Fair Labor Standards Act (FLSA). The act sets mandatory minimum wage rates and requires that non-exempt employees receive overtime pay for each and every hour worked in excess of 40 hours in a single work week. In addition, he FLSA mandates that employers keep time, overtime and payroll records for their employees. The FLSA also defines compensable time. Per the FLSA compensable time is any time working on behalf of, or for the benefit of, the employer. This includes time working on premises as well as off the employers premises. The FLSA requires that all compensable time must be paid and prohibits “off-the-clock” work. If you are an employee in Orange County and have been denied overtime pay, been underpaid or your employment status has been misclassified you may seek legal recourse in the form of a wage collection lawsuit. These lawsuits are very complex and should be handled by a skilled and experienced employment law attorney serving Orange County, California. Wage collection lawsuits can be filed as individual lawsuits or collective actions according to California law. Individual Lawsuits: Orange County employees who have been discriminated against, unfairly discharged or are due unpaid wages can file a private action suit against their employer. Collective Actions: A collective action lawsuit can be filed against an employer provided multiple employees have suffered the same FLSA violations. It is not only full time employees who receive benefits that can file a lawsuit against their employer. Independent contractors may be eligible to file a lawsuit against their employer in some cases. Merely being classified as an independent contractor has no impact on whether or not you are permitted overtime pay for working more than 40 hours/week. The type of work done, where it is done and the agreement you have with your employer determines whether or not you can collect overtime pay. Unfortunately it is not uncommon for employers purposely misclassifying employees in an effort to not have to pay overtime wages. In some cases, an employer may try to save money by compensating employees with Chinese overtime instead of regular overtime pay. If an employee does not meet the criteria required for the payment of Chinese overtime, they are entitled to traditional overtime pay-time and a half of their regular hourly wage. If an employee meets these criteria, an employer may pay them Chinese overtime for hours worked over 40 hours in a workweek. Chinese overtime is calculated at half of the employee’s hourly rate, rather than one and a half times the employee’s rate. Salaried employees are not automatically exempt from overtime wages simply because they are paid on a salary basis. To be ineligible to collect overtime pay, a worker must receive a salary which is equal to or greater than $455 per week AND perform the job duties of an exempt employee. Can I Afford To Retain An Orange County Wage Collection Attorney? In a word: yes. Actually you cannot afford not to retain a wage and collection attorney as you have rights that need to be protected. Being involved in a dispute with your employer can be a very uncomfortable situation and you may not want to rock the boat or disrupt the relationship you have with your employer. In some cases you may fear being fired or having your hours reduced if you bring a lawsuit against your employer. Having a skilled and experienced employment law attorney in your corner is a wise move as that ensures you are treated fairly, your rights are protected and that you get the compensation you are entitled to by law. Many times your employer has many more legal and financial resources than you do. The company may have already legal counsel, or will hire its own team of attorneys to help limit their exposure and reduce the risk of litigation. In these cases, you may need an employment lawyer who can protect your rights and improve your chances of filing a successful claim. It can be difficult to decide whether an employer’s actions are legal or illegal. Consulting with an Orange County wage and hour attorney at Smaili & Associates, P.C. will make you aware of what is really going on, whether or not you have a case and how they can help you. We can also address any concerns you may have about negative consequences at work and investigate potential wage and hour violations which may be creating hardships for you and your family. Our attorneys have a long standing history of recovering compensation for employees who were wrongfully denied proper pay. In addition to offering free consultations we also handle employment law cases, including wage and overtime pay collection cases, on a contingency fee basis. That means there is no fee charged unless we recover on your behalf. What Benefits And Forms Of Compensation Can Be Recovered If I File A Lawsuit Against My Employer? According to the FLSA, employees are entitled to the difference between the amount they were paid and the amount they would have received if their wages were properly paid. In addition, employees are eligible to recover an equal amount as liquidated damages or interest, plus attorneys’ fees. For instance, if an employee is awarded $5000 in unpaid wages or overtime wages, they may also be entitled to an additional $5000 in liquidated damages. This brings their total recovery to $10,000 plus attorneys’ fees. In California, employees are allowed to sue for compensation owed for up to two years prior to the filing of the case. In some instances, where the court determines the employer “knew” or “willfully disregarded” FLSA regulations, California employees may be permitted to recover up to three years of back pay. What Repercussions May I Face if I Sue My Employer For Unpaid Wages? The law clearly states that an employer cannot retaliate against, or take action against, an employee who files an unpaid wage lawsuit. Nor can you be demoted, have your hours reduced, be given unfair or subpar performance reports due to the lawsuit. If you have been the victim of these highly illegal and unethical business practices you may be entitled to additional benefits and financial compensation. The amount of money you earn allows you to support yourself, your family and live the type of life you want to live. Do not hesitate to contact the Irvine California Wage Collection Attorneys at Smaili & Associates P.C. if you have been denied proper wage payment. To learn more, please contact us for a free consultation and have your case reviewed by one of our Orange County wage and overtime lawyers.